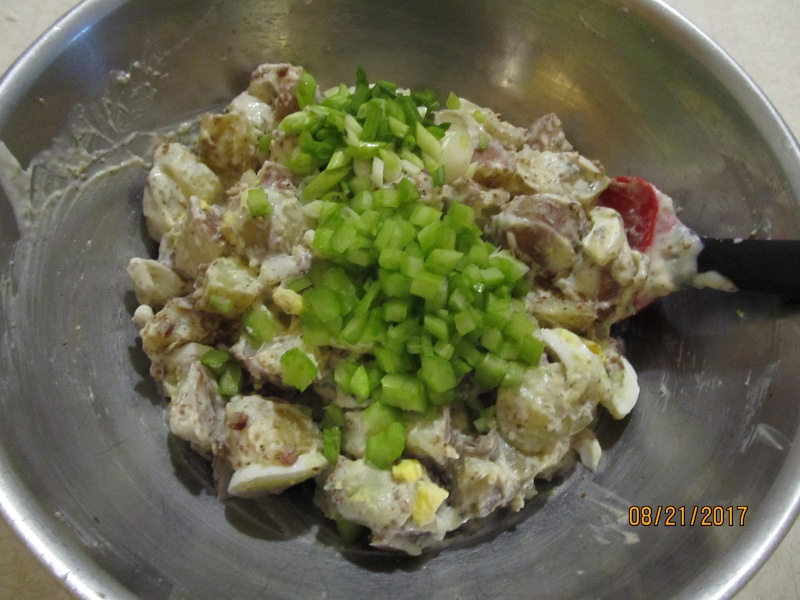 Now this is a potato salad I could only dream about, but made it a reality tonight. I am always used to the plain traditional potato salad, so change was needed. We love bacon and ranch dressing what would happen if we added to potato salad. 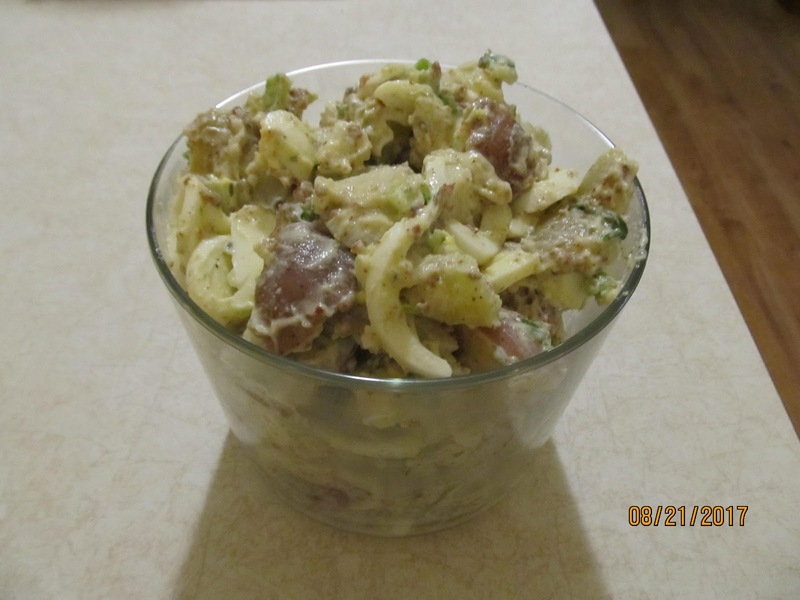 Well we all had seconds of this potato salad and want to share our idea with you. 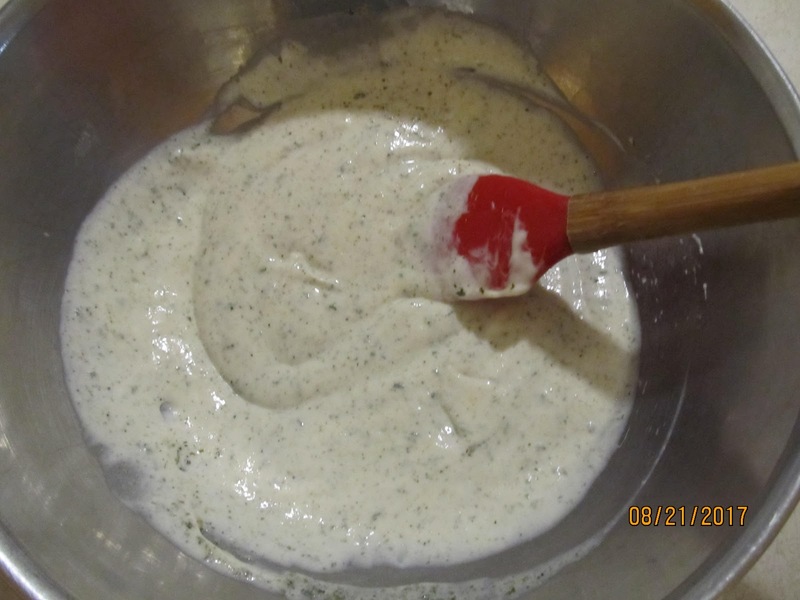 We made our own Ranch Dressing, Which was a cinch to make. Now you have the ranch that you will need later. 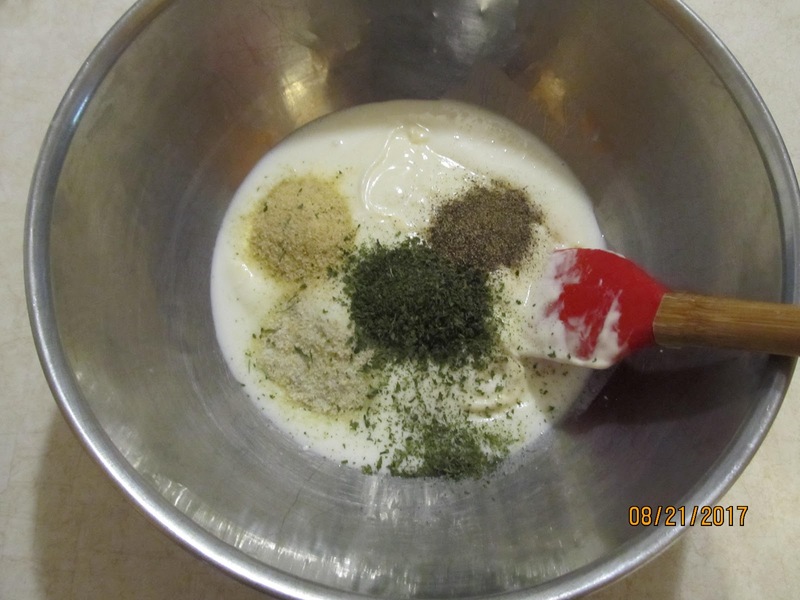 You can also use this for salads or for dips for veggies. For this recipe, refrigerate til end of recipe. 3 Eggs (hard boiled and sliced). – In large pan, boil whole potato with enough water that covers them. let boil for 30-60 minutes or until tender. – Once the potatoes are tender, remove from heat and drain. 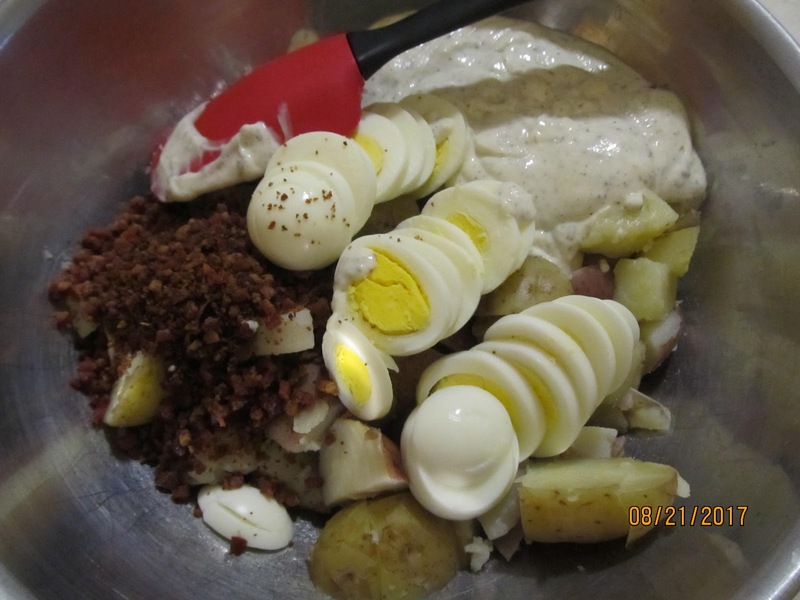 – Place potato chunks in large bowl and add the bacon, eggs, combine well. combine well and refrigerate for an hour before serving. Hmm, I am so tempted to have some more right now as I think of it. I hope you get a chance to enjoy this dish and let me know what you think of it.